Indulging in a delicious ice cream dessert is fun and all, until you realize that you forgot to take a Lactaid before the first bite . . . yikes. 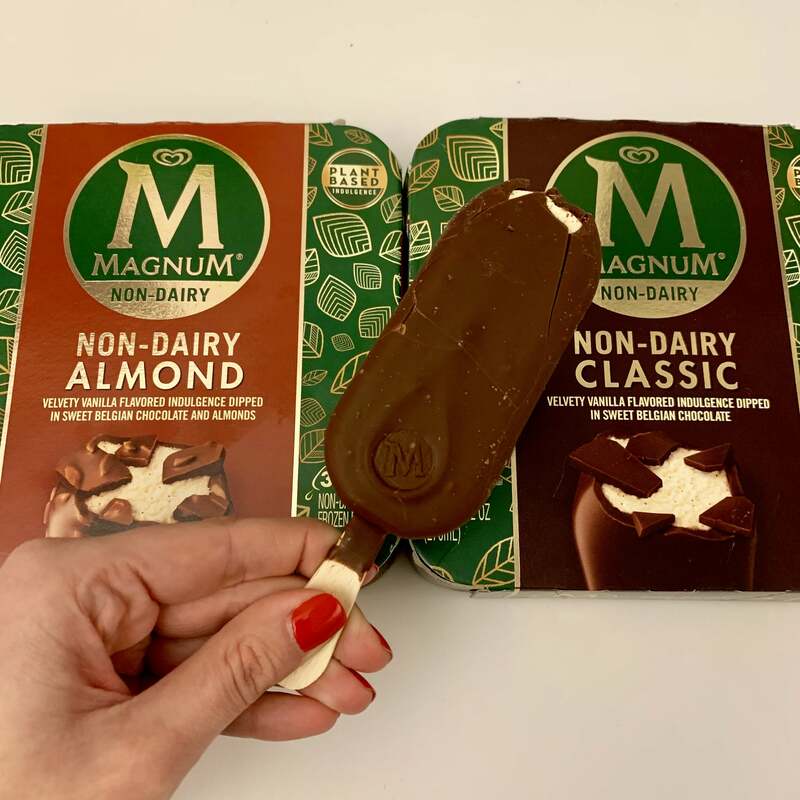 But thanks to Magnum, the ice cream brand’s classic, chocolate-dipped frozen dessert bars got a non-dairy upgrade, and we our stomachs have never been happier. 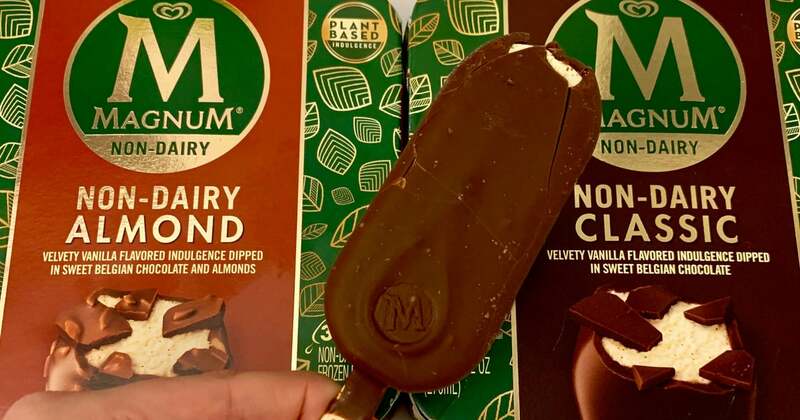 This week, the brand announced its dairy-free and vegan ice cream bars were coming to the US, and it’s a dream come true for chocolate-lovers. 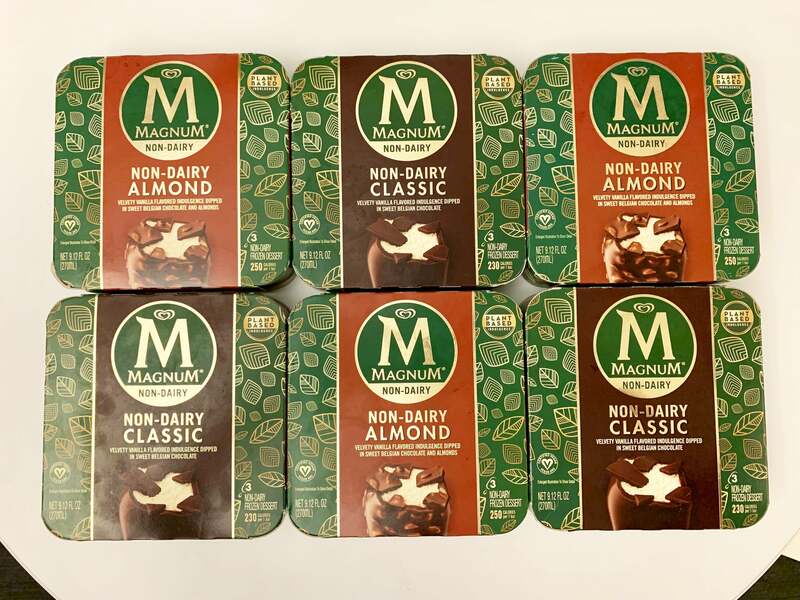 As Magnum’s first-ever plant-based treats, we’re happy to report that the two flavors, Non-Dairy Classic and Non-Dairy Almond, are delicious. (Seriously, the boxes nearly disappeared from the POPSUGAR kitchen about an hour after they arrived.) According to the press release, the creamy vanilla base is made with a combination of coconut oil and pea protein, and the bars are dipped in non-dairy Belgian chocolate. They’re less than 250 calories each, but we promise not to judge if you accidentally eat the box of three.